ForrestBrown have more than 250 years of combined tax experience amongst our team – with talent coming from a variety of backgrounds. 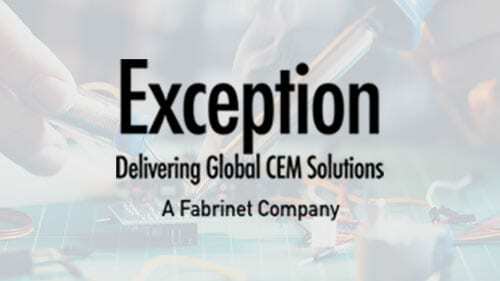 This case study explores how our team impressed senior management at Exception EMS – an innovative manufacturing company. In particular, how having a former tax inspector from the HMRC R&D Unit in our ranks gave them confidence that we would handle their claim correctly. Exception EMS Limited is a manufacturing company based in Wiltshire. Highly innovative, the company designs prototypes, printed circuit boards and assemblies for mission critical applications in the defence, aerospace and oil and gas sectors. By their very nature, these products have to be highly reliable to withstand technically demanding situations. Founded in 1948 by a group of ex-RAF engineers, the company initially produced products for the automotive industry. When that industry went into decline decades later, they moved into defence, providing emergency repairs for equipment during the Falklands War, amongst other things. Following a management buy-out in 1986, Exception decided to play to its strengths and focused its efforts on the assembly and testing of complex printed circuit board assemblies. That proved to be a wise move. Today they have a multi-million pound turnover, an international client base and an enviable reputation for continuously investing in R&D to meet the needs of this fast moving sector. Noel Murphy, finance director, says he wishes he had known about ForrestBrown sooner. He was reluctant to get another company involved in making an R&D tax credit claim unless he was sure they were professional, could put forward a robust claim and not put the company in a risky situation with HMRC. At the start of the process, ForrestBrown were given a detailed tour of the Exception factory. This was crucial in helping us gain a clear understanding of how the company operates. A number of further meetings then followed with key professionals to discuss specific projects, costs and identify valid areas of R&D activity. One such project involved refreshing the design of a product that had already been in production for 15 years. Although the initial brief was to enhance cost effectiveness, Exception was also keen to explore whether more features could be added, or the product made compatible and marketable under the IoT initiative. In simple terms, IoT – short for ‘internet of things’ – is a network of physical objects embedded with electronics, software, sensors, and network connectivity, which enables the collection and exchange of data. This project has been an outstanding success. Following in-depth research, the production of a prototype and thorough testing, Exception has now helped their client develop a product with significantly more features than others on the market – and far higher levels of reliability. As well as helping Exception identify areas of R&D, we have also helped them implement robust processes for recording their future R&D expenditure. A factory management system has been introduced to track the time employees spend on individual projects. And for more senior staff, time spent on R&D projects will be logged through a regular agenda item at their monthly meetings. I was very, very surprised at the enhanced level of deduction we could get. We had the two-fold benefit: we preserved losses in the business that we had utilised in prior years and also got money back from the revenue, so it was a win-win situation. I would have no hesitation in recommending ForrestBrown in terms of their professional approach and the more we work with them the easier the process gets. Sometimes a change in personnel at a company prompts it to explore the R&D tax credit scheme. 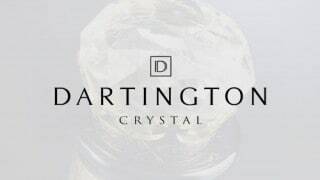 Find out how a new finance director at Dartington Crystal recognised that some of their cutting-edge work may qualify for R&D tax credits and hired ForrestBrown to handle the claim. The rewarding process has since changed their whole attitude and approach towards their innovation.